One of the best things about the APF Show is that if you hang around long enough, you will bump into just about every woody person you want to see. From Bob the Bodger, to Sir William Worsley, APF 2018 did not disappoint. Sir William was appointed by DEFRA to be England’s Tree Champion in June, a suitably grand title for a man whose family has farmed part of Yorkshire for centuries. He says he has trees in his blood, but more than that, he began his career as a land agent and is familiar with the issues that face both woodland managers and farmers. Sir William is chairman of the National Forest Company and has served on the Forestry Commission’s advisory panel. Some might say that the job of tree champion is one of Mr Gove’s schemes to boost his environmental credentials, but few could argue that England does need someone to speak up for trees and to improve links between the forestry sector, land owners and local government. 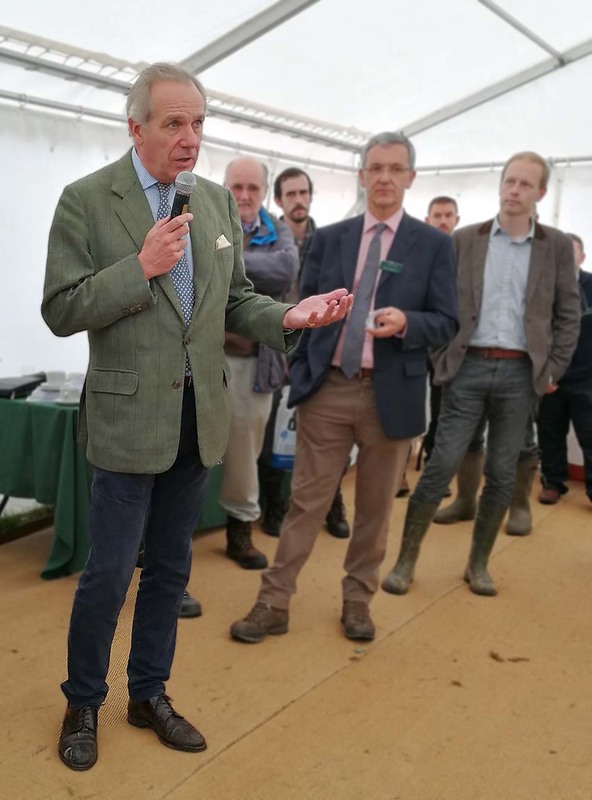 At APF, Sir William hosted a question and answer session, exploring the nature of his new job and listening carefully to the issues raised about forestry. Acknowledging the huge challenge of fulfilling the government’s pledge to plant 11 million trees in England before the end of the parliamentary term, Sir William ruefully commented that planting in Scotland is proceeding at a much faster rate. Forestry plays an important part in the Scottish economy, and he believes that it is worth trying to emulate Scottish success in England. He is on a mission to discover what hinders new planting in England – and there was no shortage of answers in the APF audience. Woodland managers voiced their frustration at the cumbersome grant system and overly complex form-filling needed. They are also constrained by the species mix – the attrition caused by pests and disease such as ash-dieback and phythoptera means that choosing what to plant can be a difficult decision. Managers want a simple grant system, less regulation and more advice. The President of the Royal Forestry Society advised Sir William to look back at a period when planting in England was successful and to use that as a guide for the future. Small woodland owners face the same challenges on a smaller scale – let’s hope England’s Tree Champion makes it easier for everyone to manage and grow their woodlands sustainably.